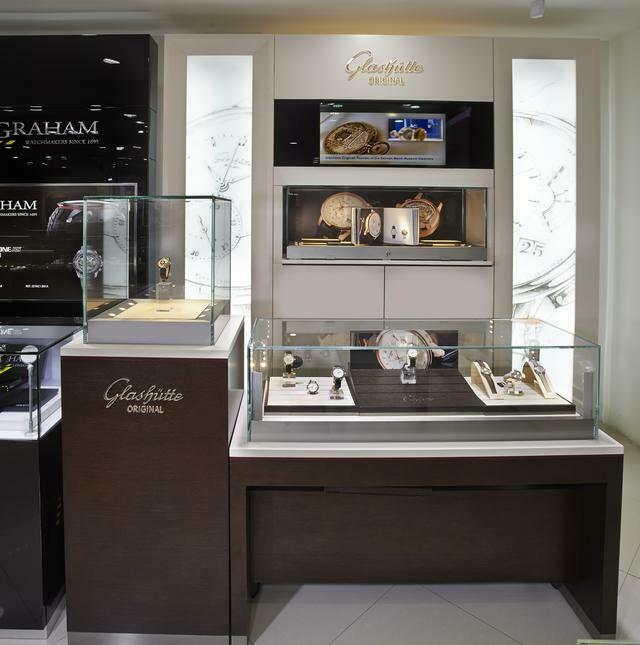 The 1,500-square-foot Time Square Jewels & Time offers such well-known watch brands as Bell & Ross, Frédérique Constant, Glashütte Original, Graham, Ulysse Nardin and many more. 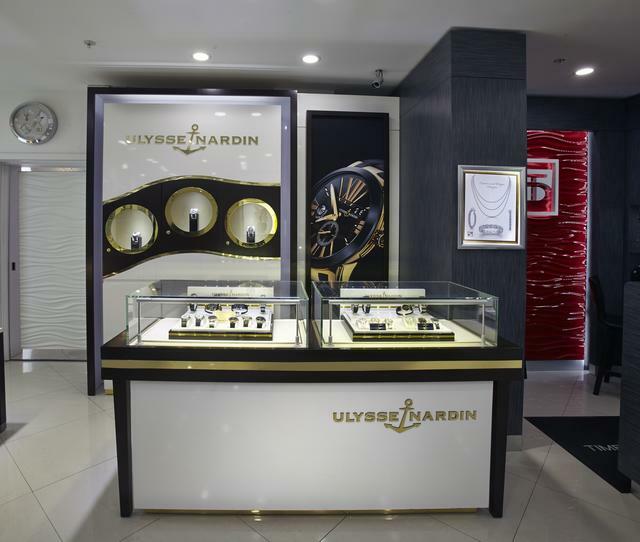 Ulysse Nardin is one of the store’s most popular brands, with its enviable selection of timepieces in a broad range of prices and designs—including those with complicated movements. The store’s most popular price range overall is between $5,000 and $20,000. In 2013, the company took on several new brands, including Richard Mille, Franck Muller and in 2015 added SevenFriday and Tissot to their brand list. According to a company spokesperson, classic designs are of particular interest among both men and women. There is a large demand for pre-owned watches which are also available here and Time Square has a trade-in and upgrade policy for clients. Jewelry brands include Belle Etoile, Hidalgo and Nina Nguyen and writing instruments by Montegrappa are also represented, as are watch winders, boxes and accessories by Underwood and Wolf1834. Each product is carefully displayed within the store’s polished showcases, which add yet another touch of elegance to the modern décor. Time Square Jewels & Time is proud of its staff of 18, each of whom is highly trained via watch magazines, brand trainings and administrative feedback. In addition, international trade shows provide additional information. Each staff member makes customer service their number one priority, providing the highest level of service to a sophisticated group of customers, a full 95 percent of whom are from outside the area. 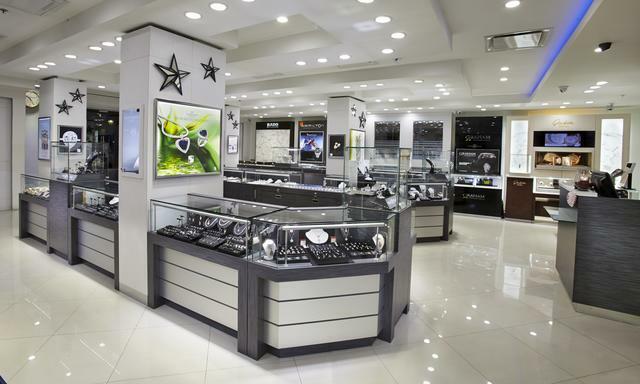 Both Time Square Jewels & Time and Little Europe Jewels & Time have service centers in Los Angeles and New York. 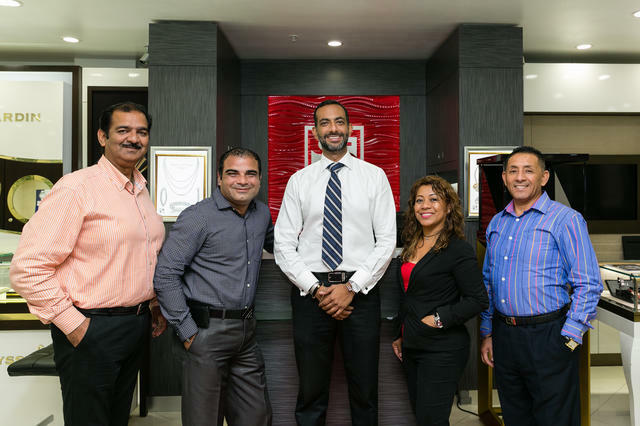 According to Girish, the holiday season is the store’s busiest time of the year, since so many people are traveling to this region during that time. The clientele ranges from neophyte watch afficionados to those who own upwards of 10 watches. 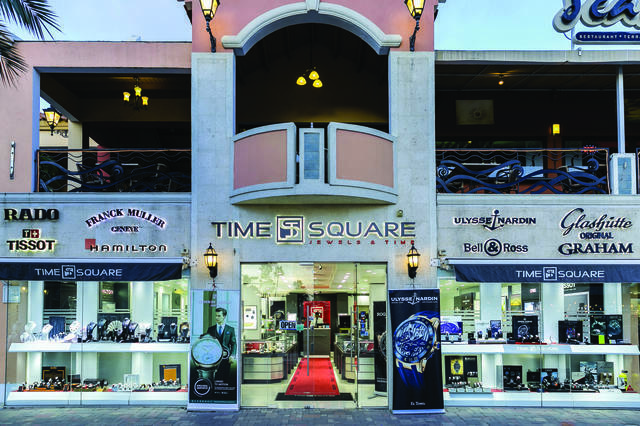 In addition many celebrities and other public figures passing through Aruba make Time Square Jewels & Time their one-stop shop. They come back for both the service and the quality of the merchandise available here—and the vacation atmosphere is no doubt an additional plus. Time Square Jewels & Time stays in touch with its customers via a variety of initiatives, including an informational website, though future plans include an e-commerce site. Social media is also playing an increasing role. “With so many changes in the digital landscape, it is imperative that our presence is known through social media, such as Twitter, Facebook, Instagram and Pinterest,” says Girish. The store participates in the Aruba International Film Festival (AIFF), which has become high on the list for members of the film community because of its great location and its potential for growth. As for philanthropic commitments, Time Square Jewels & Time is very active in assisting the local orphanage and senior living facilities. 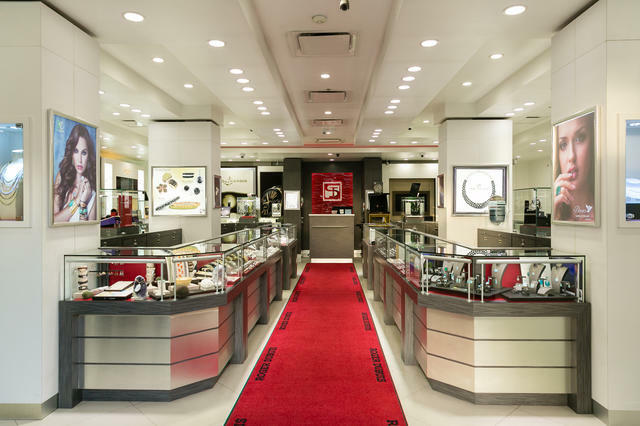 With its enthusiasm for watches, jewelry and its location at large, Time Square Jewels & Time’s future is on track for continued growth and influence in its community and beyond.